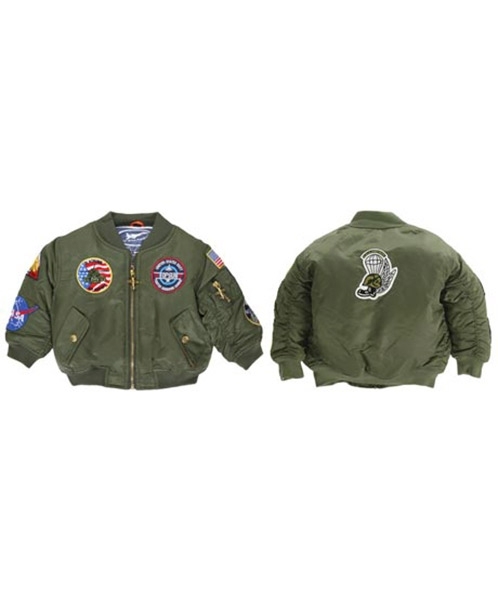 The MA-1 Green Youth Flight Jacket is a child sized version of the classis MA-1 Flight Jacket. The green nylon jacket comes with 2 side pockets with snaps and 1 zippered sleeve pocket. The jacket has various aviation patches on the front as well as both sleeves. The jacket is machine washable and hangs dry. Comes in Youth size 6, 8, 10, and 12.